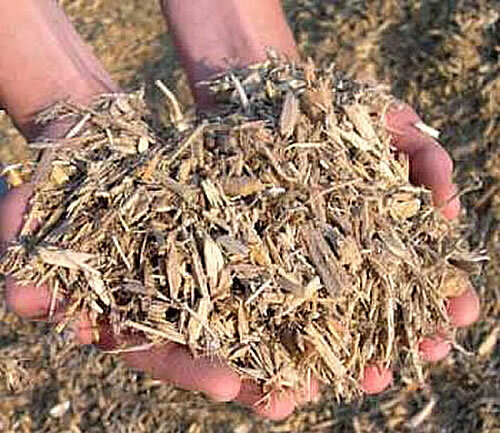 Engineered wood fiber is a ground wood product that has a texture similar to shredded bark mulch. Unlike that mulch, engineered wood fiber is made from the wood inside the tree (not the bark), so it’s light in color. When engineered wood fiber settles and compresses, its surface is considered wheelchair accessible and compliant with the Americans with Disabilities Act (ADA). Our engineered wood fiber is certified and meets ASTM International standards. Generally, engineered wood fiber also goes by the trade names of Wood Rug or Woodcarpet®. Nationally, we deliver engineered wood fiber in any of the 48 continental states. We work with commercial-size loads of 70 cubic yards or more. In the Maryland – Washington, DC – Virginia area, we deliver and/or install engineered wood fiber in quantities of 16 cubic yards or more. We also sell engineered wood fiber to go, in any quantity, at our facility in Dickerson, Maryland. Note: Sales to go are done by appointment only. To make an appointment, please phone us at (301) 840-0707. Our engineered wood fiber is certified by the International Playground Equipment Manufacturers Association (IPEMA). ASTM International certifies engineered wood fiber for impact attenuation (ASTM F1292), so that it is free of nails, staples and hazardous metals such as lead, mercury and arsenic, and to ensure that it is ground properly so that the product will knit together to meet federal accessibility laws (F2075 test method for engineered wood fiber). Our suppliers use their own test equipment to perform testing on the engineered wood fiber in a variety of temperatures and weather conditions. If you’re using engineered wood fiber on a playground, your play equipment needs a minimum depth of 9 inches of engineered wood fiber underneath it and in the equipment’s use zone (the area six feet around the structure in all directions). One popular method of installing engineered wood fiber is to distribute it on top of a layer of landscaping fabric that has been placed over 3-4 inches of gravel. This creates a natural drainage system that flushes out rain water and can extend the life of the engineered wood fiber. If you have any questions about engineered wood fiber, phone us toll free at(877) 840-0707. For special offers, product information, and price estimates, just complete the form below and we'll get right back to you. (To fill out a more detailed Estimate Request Form, please click here). Our company sells and ships certified engineered wood fiber nationwide in the USA. The minimum load size is usually 70 cubic yards. There is no maximum delivery size -- we can bring you as much as you need. Copyright © 2019 Engineered Wood Fiber. Powered by WordPress. Theme: Spacious by ThemeGrill.